A Debt Management Plan is an agreement with your creditors to repay your debts at a rate that is manageable for you within a period of up to ten years. A debt management company will usually manage the plan, helping you to initially negotiate the terms of the plan with your creditors, collecting the payments and distributing the funds. They will take their fees from the monies paid by you. A Debt Management Plan is not binding, unlike an Individual Voluntary Arrangement, and therefore does not provide protection against recovery action being taken by creditors. Interest does not automatically stop accruing on your debts upon the approval of a Debt Management Plan, therefore, this is something to consider in negotiations with creditors. Creditors may, however, be inclined to accept the proposal for a Debt Management Plan if it can be demonstrated that this would be more beneficial to them than alternative options, such as an Individual Voluntary Arrangement. Some debts and assets may not be included when calculating the above figure. We can explain this in more detail if you wish to discuss this as an option. A Debt Relief Order usually lasts for one year and during this period you are not required to make any payments in respect of your debts that are included. After the end of the Debt Relief Order your debts will be written off, although you will still be responsible for paying off any debts that were not included. The court will decide how much of your debt you are required to repay, the amount of your contributions and how long the arrangement will last. The arrangement is known as a composition order if you cannot pay all your debts in full. In some circumstances, rather than looking at a formal procedure, it may be possible to look into re-financing or re-mortgaging in order to release some capital to be used to repay your creditors. We have a number of contacts who specialise in this area that we would be happy to put you in contact with should it come to light that this option may be suitable for you. Maintaining communication with your creditors and keeping them informed of your situation is often a good way to initiate informal negotiations with them. 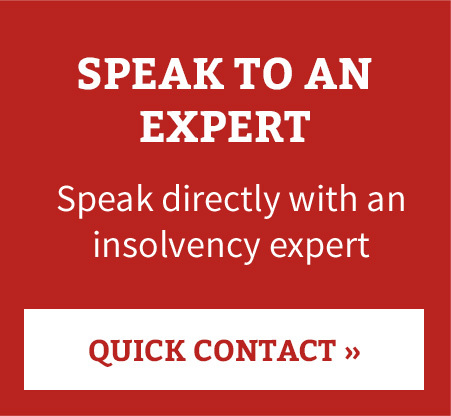 If you decide to negotiate informally with your creditors, please be aware that these negotiations will not be binding, therefore, you could still be at risk of recovery action being taken against you. If you are interested in discussing any of the above options or would like further information on any of the above processes, please contact us and a member of our experienced staff will be happy to discuss in more detail.